Where'd That Missile Come From? 5 Points Secret Medal: Unlock this medal to view its details! SPLAT 25 Points Secret Medal: Unlock this medal to view its details! INFARCTION 5 Points Death by overloading energy. Buzzzzz! SIX PACK 5 Points Collect 6 cans in a row. 100 YARD DASH 10 Points Survive 100 yards(300 feet). 50 YARD DASH 10 Points Survive 50 yards(150 feet). 50 Points Survive 10,000 feet of intense ballooning. 10 Points Destroy the butcher's pituitary gland! Temporal Lobe 50 Points Destroy the butcher's temporal lobe! Ladybugs Knocking Over Deadly Butchers 100 Points Destroy the butcher's frontal lobe, resulting in total loss of motor control! 10 Points Complete the entire first ring of levels. JUDGE 10 Points Rate 5 or more user levels. EXPLORER 25 Points Complete the entire first and second ring of levels. JUNIOR 25 Points Complete the first level under par in all three categories. JURY 25 Points Rate 50 or more user levels. AMATEUR 50 Points Complete 5 or more levels under par in all three categories. LEGEND 50 Points Complete all three rings of levels. PRO 50 Points Complete 15 or more levels under par in all three categories. CHAMPION 100 Points Complete all levels under par in all three categories. EXECUTIONER 100 Points Rate 100 or more user levels. Beholder 10 Points Slay the tentacle beast. Defender 10 Points Slay the sentinel. King Slime 10 Points Slay the giant slime. Mecha 10 Points Slay the giant robot. Regice 10 Points Slay the Pokemanz. Goku 50 Points Slay your undead god. Warrior 50 Points Beat the game on Normal difficulty. Hero 100 Points Beat the game on Epic difficulty. Knight 100 Points Beat the game on Hard difficulty. Art Guy 5 Points Secret Medal: Unlock this medal to view its details! 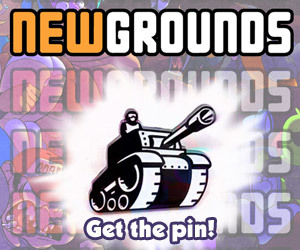 Credits Guy 5 Points Secret Medal: Unlock this medal to view its details! Chaos 10 Points Secret Medal: Unlock this medal to view its details! Fail 10 Points Secret Medal: Unlock this medal to view its details! Owned 10 Points Secret Medal: Unlock this medal to view its details! Punching Bag 10 Points Secret Medal: Unlock this medal to view its details! Terrorist 10 Points Secret Medal: Unlock this medal to view its details! I Like Swords 25 Points Secret Medal: Unlock this medal to view its details! 10 Points Money won't buy back the time you wasted. 25 Points Really? That's even possible? 25 Points Who's going to need a diamond anyway? 50 Points Get all the candy. 100 Points You've gotten out and can go back to trick-or-treating!